Here we have a few Examples of some of the Special Orders that we have shipped. 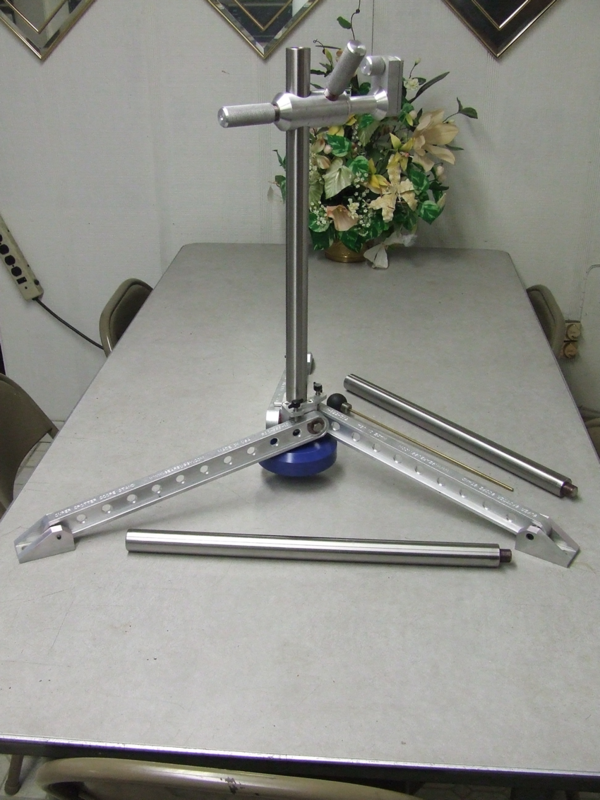 This unit has specially ordered Swiveling Foot Pads, the Weight, Leveling Kit, Extended Spool, and the KY Slider QD Scope Mount. 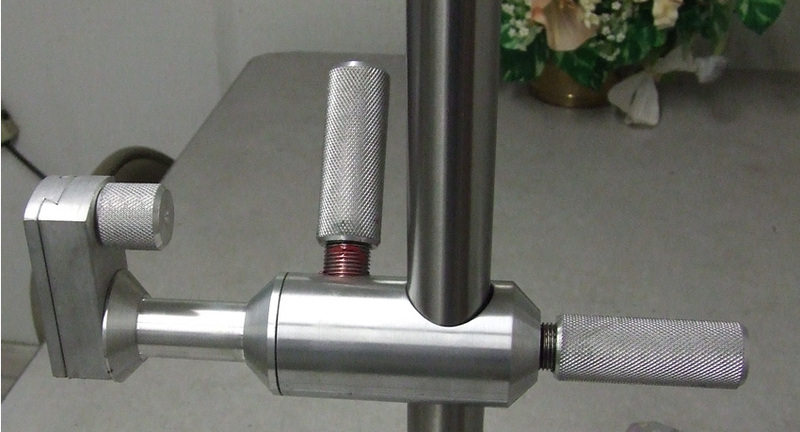 There are also (3) 20 inch long Mast sections instead of (2) 30 inch, and the Top Knob and a short Knock-out Rod. 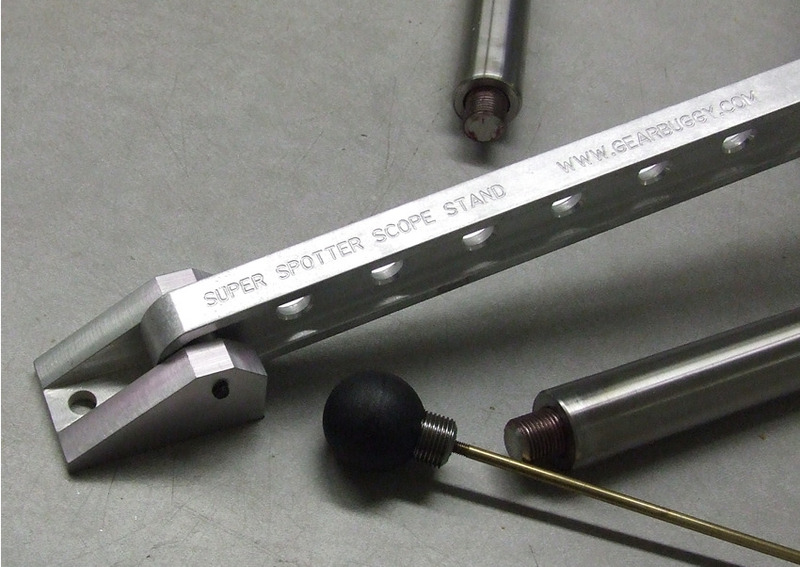 Here we show the specially equipped Super Spotter Scope Stand in the stowed configuration. The Weight screws into the base for storage. 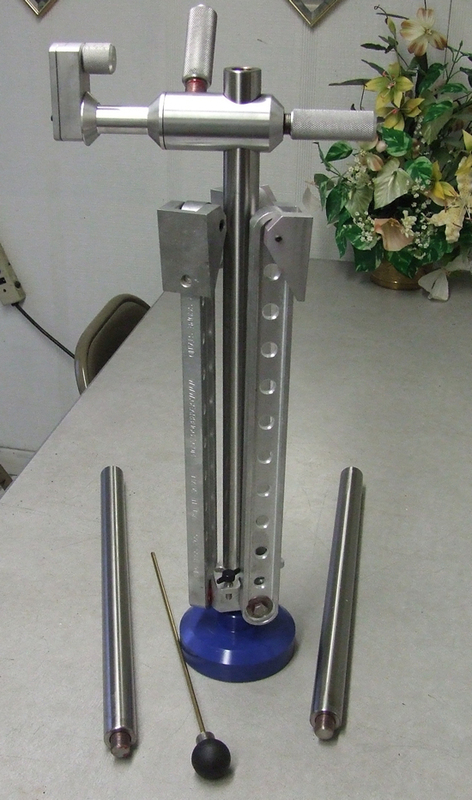 To deploy the unit, remove the Weight, swing the Legs down into position, and reinstall the weight. Then, attach as many Mast sections as you need. The Top Ball and Rod will screw into any of the Mast sections for quick removal if you need it on the firing line. In this case, the shooter will have to unscrew the brass rod from the Top Ball and drop it down the barrel to remove a stuck case. That is due to the Mast sections being shorter than the normal 30 Inches long. As always, we are interested in your comments and suggestions. Special order parts available at special pricing.